Singapore Cleaning Service - Blog: Is It Illegal For Maid To Clean The Employer Office? Most homes in Singapore have full-time maids to take care of all the household chores. Many other homes have also opted to have only part time maids for their homes because they want the privacy or there is simply not that much work around the home to warrant a full-time maid. However, when it comes to the issues of the duties a maid should carry out, many employers have become excessive and taken their maids to clean their offices while still paying them the same salary. This is illegal considering most maids in Singapore are only licensed to clean homes and perform other domestic duties. Some might argue that having the maid clean their employer's office is an extension of their duty to the family and that it is very legal, but if it comes with various disadvantages and it is in fact illegal. Office cleaning services and home cleaning services are very different, although they might seem the same. The home is the maid's turf and they can carry out the cleaning effectively because they are familiar with most items and will be less likely to cause damage. However, the office is different; there are valuable items that might require specialized professional cleaning which the maid cannot carry out. The valuable items around the office might be vulnerable when being handled by the untrained maid. A bad cleaning job can pose a health risk to you and your employees. If your office involves handling of chemicals or other sensitive material that contains viruses and pose serious health risks, then the maid might not be in a position to thoroughly clean and disinfect your office. A professional will be better placed to handle such a case. As much as the employer wants to save on cleaning costs, they might be jeopardizing their health because the maid might not do a good cleaning job. Professional office cleaners have a diverse range of cleaning equipment for different cleaning needs. 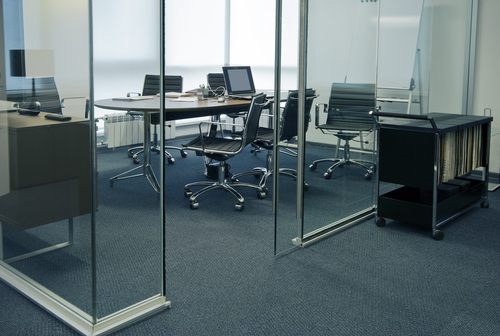 They therefore apply the appropriate cleaning options for every office they clean. They will be better placed to handle your office cleaning than your maid. Your maid will only clean with normal detergent, mob or sweep and wipe. This might not be enough and might even cause your office furniture, upholstery or carpets to get dirty and deteriorate more quickly. Professional cleaning companies will ensure that your office gets cleaned the right way and go to great lengths to ensure a long-lasting clean that will also make prevent your office items from getting damaged or from wear and tear. The Singapore ministry of manpower is very strict when it comes to the matters of domestic help. Any employer caught not abiding by the labor laws is bound to face severe punishment in the form of heavy fines. The maid will also have their work permit revoked. Therefore, employers who have their domestic maids to clean their offices will not only inconvenience the maid who will have their license revoked, but they will also face the heavy penalties for going against the labor laws. The work permit or licenses of most maids in Singapore will state the kind of work they are supposed to do and if found doing different work, they will have their licenses or their permits revoked. If they are foreigners, they might even face deportation for breaking the law. Apart from having to maintain cleanliness, health concerns and abiding by the law, the company image is also at stake when an employer brings their maid to clean their office. If the clients see a maid cleaning the office instead of professional cleaners, it might not present a good professional image, something that can mar business relationships. As a businessman, image is everything everywhere in the world even in Singapore. A professionally done office cleaning job will ensure a conducive environment for workers and clients and enable them to perform their duties better. In conclusion, let your maid stick to domestic home duties and simply hire a reliable cleaning service to clean your office.